My Digital Studio! published on January 11, 2010 Read more posts by the author of My Digital Studio!, JentimkoNo Comments on My Digital Studio! I can finally share some of my pages from some My Digital Studio (MDS) projects I did for Christmas presents! I made calendars for my mom and for my mother-in-law and what a hit they were! I have never really scrapbooked before so this was an entirely new thing for me. 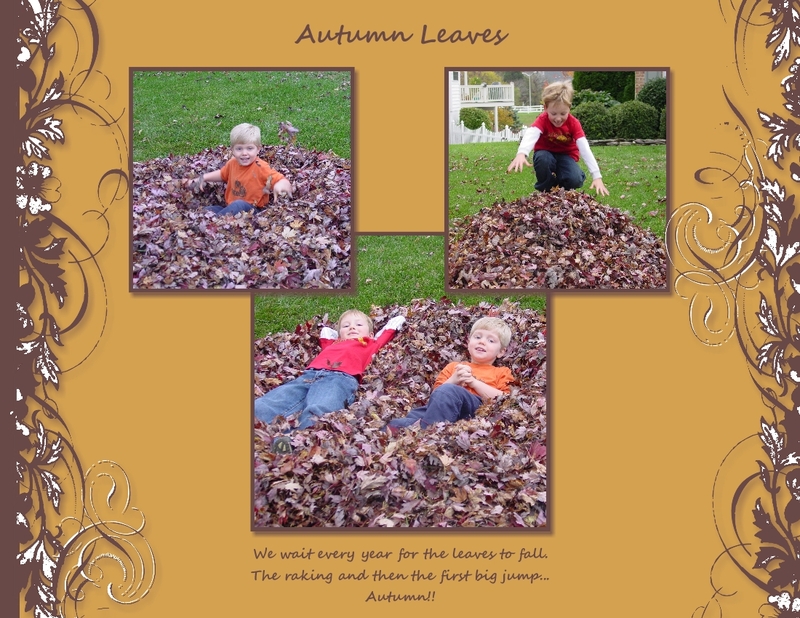 I am here to tell you that the program from Stampin’ Up just makes it look easy! Stamps, papers, accessories, and (most importantly to me) colors are available digitally!! I obviously have a calendar full of pages but thought I should share one of my favorites. I just love that I was able to put together this kind of page in my very first project! 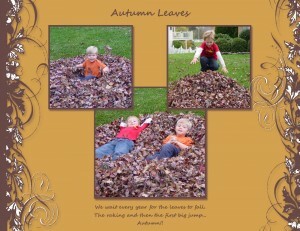 Even if you are a traditional paper scrapbooker, MDS could be the perfect planning tool for you. You can design your perfect page before you ever cut into your paper. I’ll be sharing more of my favorites over the next few weeks! Have a great week! All of you who know me know that I have a ribbon problem. Yes, my name is Jennifer and I am a ribbon-a-holic! It seems that I also have a problem with hoarding Stampin’ Up’s lovely designer papers. 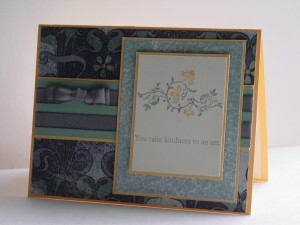 I have made it one of my stamping resolutions to actually USE this paper and ribbon (crazy, I know). So while the stamp set is new, the papers and ribbons are retired. Please don’t hold it against me, I just have to make room for my wonderful Occasions mini order! I have finally gotten with the times and committed to maintaining a blog. So here it is…bear with me as I learn about all the features available. 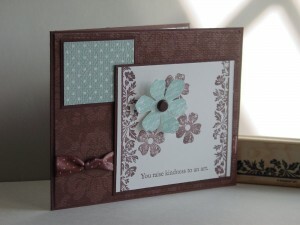 I hope to share my adventures in stamping and to inspire you in your own creative endeavors! Now sit back and enjoy the flight!